In this section you will find great deals on point of purchase display component products that Clip Strip Corp. has decided to remove from its standard line of merchandising, store marketing and store communications products. The reasons may include that we decided to upgrade the product, remove ourselves from certain categories, to eliminate an oddball size or to stop carrying a redundant retail store fixture. Enjoy the savings you will get in this section. They go fast, so act quick before our stock is depleted. 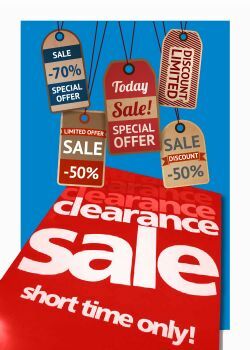 After browsing through our Clearance Items, check out our Clip Strips style of merchandiser displays, an extensive line of sign holders, display construction products, retail shelf marketing POP aides and peg hooks, hang tabs, shelf dividers, brochure holders and sign ceiling hanging mobiles and hooks. Minimum quantity for "Roto Clip Multi-Channel Signboard, RCSH-3900" is 25. Minimum quantity for "12" Slitted Display Tubes, SDT-12" is 100. Minimum quantity for "24" Slitted Display Tubes, SDT-24" is 100. Minimum quantity for "Angled Flag Sign Display Base, DB-2A" is 100. 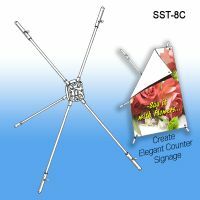 Minimum quantity for "Straight Flag Sign Display Base, DB-3P" is 100. Minimum quantity for "22" EZ Banner Hanger, 837-22" is 100. Minimum quantity for "36" EZ Banner Hanger, 837-36" is 1. 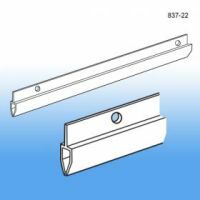 Minimum quantity for "36" Banner Hanger Stabilizer, White, 836-36W" is 1. 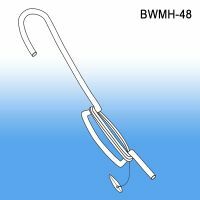 Minimum quantity for "Brass Wire Mobile Hangers, BWMH-48/60" is 50. 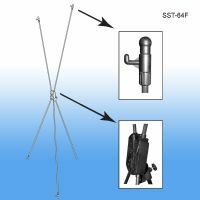 Minimum quantity for "Large Price-Channel-Mount Sign Holder, SGN-222-118" is 25. 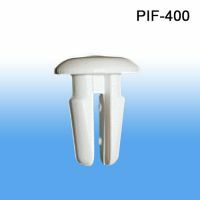 Minimum quantity for "Shelf Dart Clip Fastener, PIF-400" is 200. 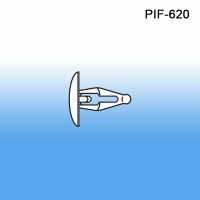 Minimum quantity for "Lock Tite Fastener, PIF-620" is 100. Minimum quantity for "Wire Ceiling Mobile Hook, WCM-210/WCM-210C" is 100. Minimum quantity for "Cosmetic Label Holder Overlay for 6" - 7" Peg Hook, UPL-677" is 50.